Gotham Comedy Club :: Homo Comicus: As Part of the New York Comedy Festival! Homo Comicus: As Part of the New York Comedy Festival! 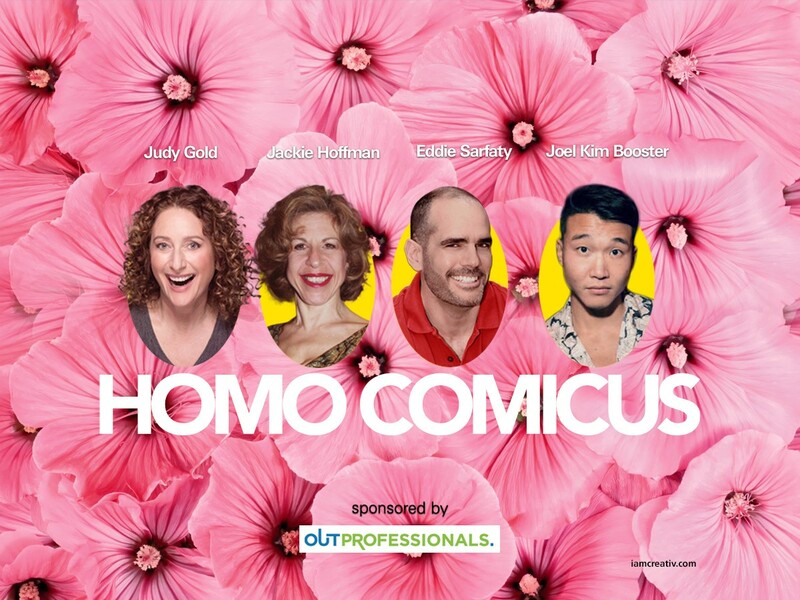 As part of the New York Comedy Festival, hilarity will be in full bloom on a very special night of top LGBT and LGBT-adjacent stand-up comedy, with the great and powerfully funny JUDY GOLD (from HBO, Comedy Central and her own fabulous hit solo shows), the brilliant JACKIE HOFFMAN (from Broadway, film and 2017 Emmy-nominated for her role as Mamacita on FX's “The Feud”) and JOEL KIM BOOSTER (from Conan, Comedy Central and Logo). Hosted by the witty and wonderful EDDIE SARFATY (from Comedy Central, Logo, and author of “Mental: Funny in the Head”). Sponsored by Out Professionals www.outprofessionals.org.